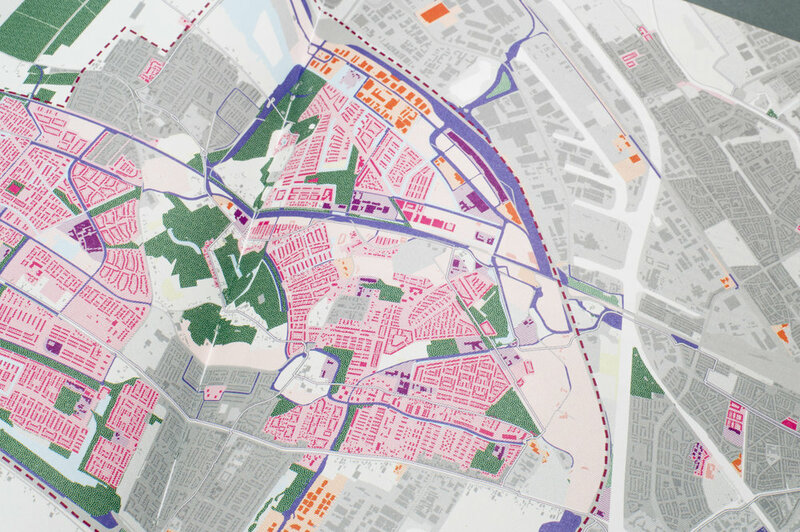 Vinex (Vierde Nota Ruimtelijke Ordening Extra = Fourth Memorandum Spatial Planning Extra) is the urban development plan released by the Dutch Ministry in 1988 in response to the housing shortage in the city caused by increasing population. Construction of new residential districts started in 1993. 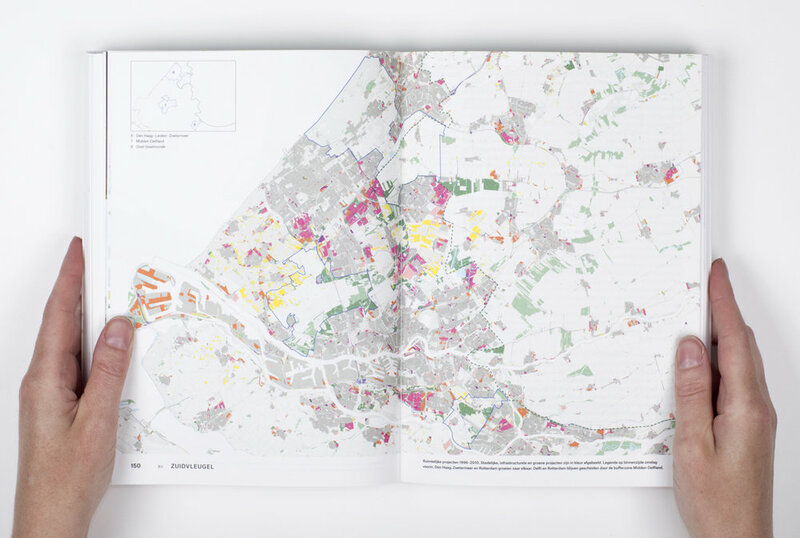 The maps in the book illustrate the spatial transformation happened between 1996–2010, which highlight new land usage in consequence of the Vinex plan in colors and the rest in various shades of grays.